For most of my family’s 30 year history in the land business, we have been an island. What I mean by that is that we have never really sat down to coffee with another “land flipper.” There have been no community meetings, no entrepreneurial cocktail parties, no anything of the sort. Sure other flippers exist. Once in a while some competitor will actually pop up and even do a few flips in our territory. We don’t like it, but there has always been enough people wanting land to go around. A small bit of competition is healthy for a business. It keeps us sharp. But all that has changed since we published The Land Flipper in March of 2016. Since that time we’ve made contact with dozens of people doing their own flip deals across the country (and even a few internationally). It has been great, sparking a small community in this way. And, seeing what an interest other people have in our practice, we’ve been inspired to keep pushing: writing more, creating more, and communicating more with other flippers about this lucrative process. So, we have two major announcements today. The first is that we just published our second Land Flipper book: The Land Flipper on Owner Financing. It is a shorter book than the first one, but its scope is far narrower and a great deal more focused. Although the topic is technical, we don’t get too mathematical or number oriented in our discussions, at least not more than is necessary for understanding the process. Instead we just tell stories: stories about how our knowledge of the basics of owner financing have made us a lot of money over the years, has opened up doors for us that would normally be closed and unreachable. In fact, we’d go so far to say that owner financing is the key to getting your foot in the door, as it can allow you to do deals for very little money down. You can check it out on Amazon, or feel free to email me for a free PDF. 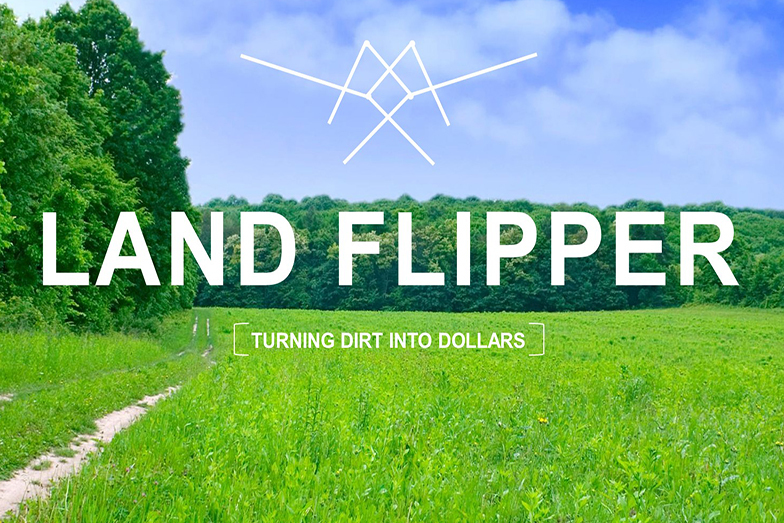 I’ve got a new email address by the way: Seth@landflippers.com. The old one still works as well: Thelandflipper@gmail.com. The second announcement is even bigger. And that is: I have finally completed the 15 hour e-course on the land flipping business. The course is a result of a Reddit AMA I did, in which I met a fellow Redditor who was thankfully more technically minded than myself. Together we spent about 9 months putting the course together, me with the knowledge of flipping and he with the web development skills. The Land Flipper course is the result, a comprehensive step by step account of how we do what we do. It is available now. The coupon “LAUNCH50” makes it only 150 dollars, an absolute steal for all the knowledge inside. Most real estate courses go for thousands of dollars and assume you are already rich (a major gripe of mine). But this course is full of ideas for bootstrapping your way to your first land deal, and it comes with complete and total access to me for any questions you might have along the way. Since I’m finished with those two massive (and frankly scary) projects, there is even more good news. Now I have time to blog! Look for new posts appearing once or twice a month here on The Land Flipper site. Leave me a comment on any topic you’d like to read about related to flipping and I’m likely to oblige. Be sure to check out the book and the course in the meantime.